The Oscillator Predictor is a derivative of aDetrended Oscillator. 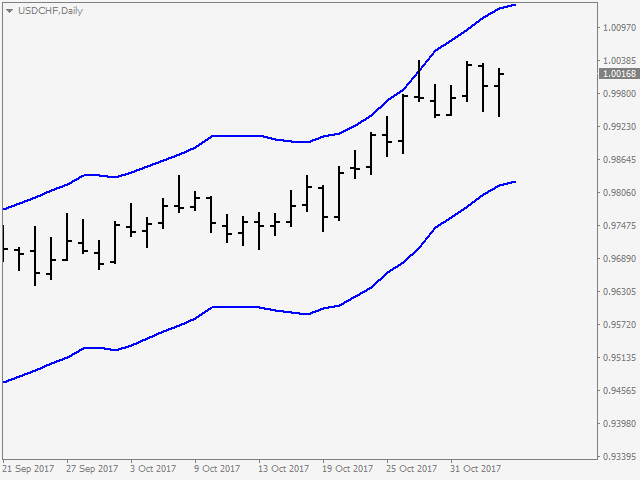 Through a set of parametric equations, a predicting oscillator is created that forecasts, one period ahead of time, overbought and oversold conditions. The resulting predictor values are expressed as bands on the bar chart, both above and below the market. 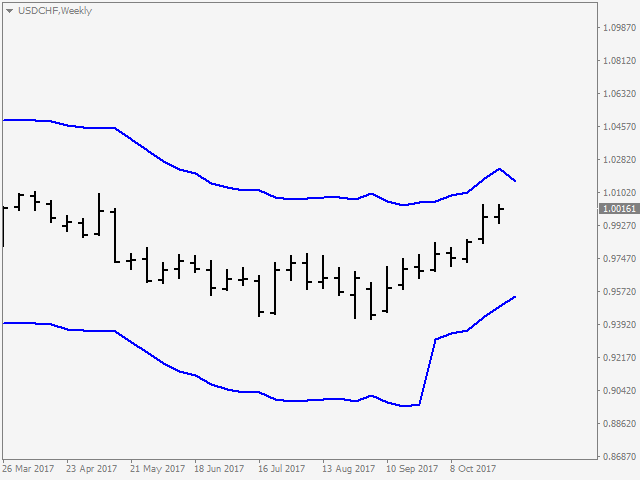 It may be mistaken as a Bollinger Band but has no resemblance to it whatsoever. The Predictor bands may be used in a variety of ways to aid in entering and exiting the market. 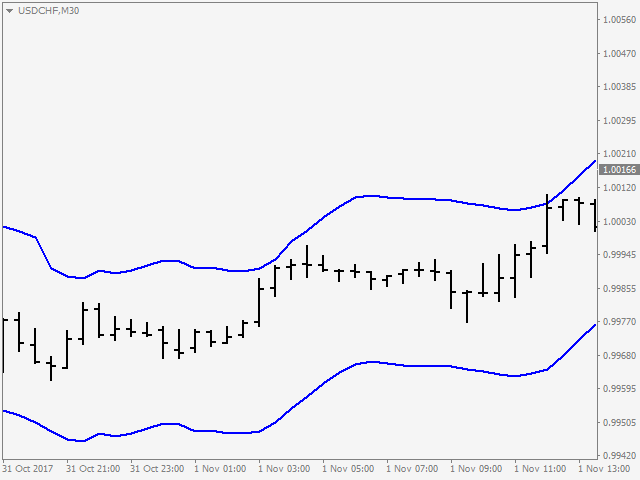 Although it is recommended for H4 and higher timeframes, it can be particularly useful for intra-day trading. 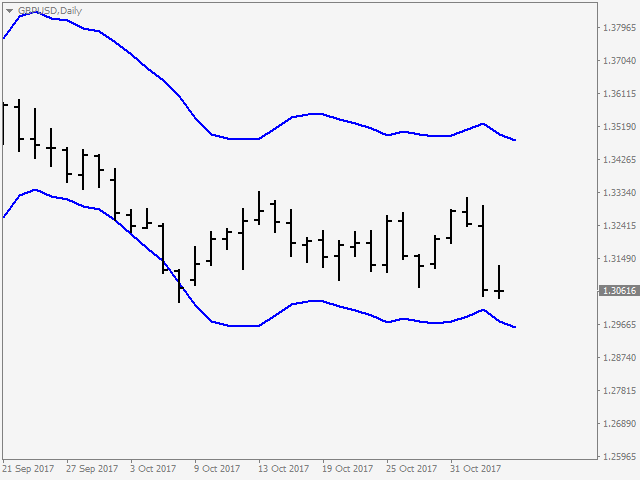 Autocalc Lookback - number of bars used to calculate overbought and oversold condition. 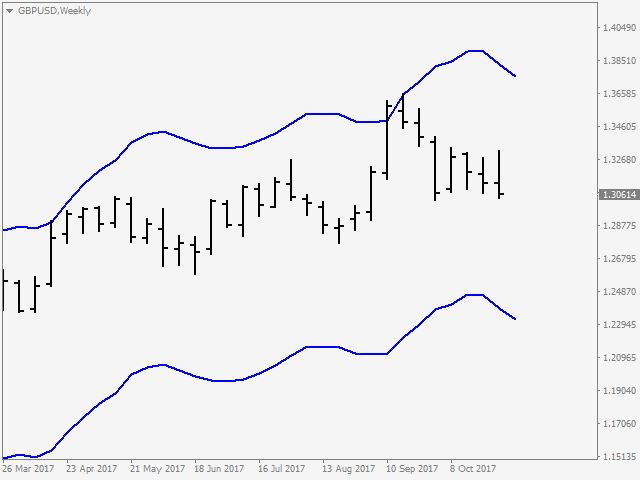 Autocalc extreme ratio - percent ratio used to set maximum overbought and oversold condition. WORKS EXCELLENT! THE BEST INDICATOR ON THE MARKET, THANKS AGAIN!